Grand Rapids couple busts brush to find remote pike lakes. The new northern pike regulations apply to inland waters but do not affect border waters or individual lakes, rivers and streams that have their own special regulations for northern pike. Special pike regulations are in place on about 95 waters and always take precedence over statewide regulations. Anglers and spearers should always research the lake they are fishing and must be prepared to reliably measure their fish. Waters with special regulations are identified in the fishing regulations booklet and with signs posted at public accesses. 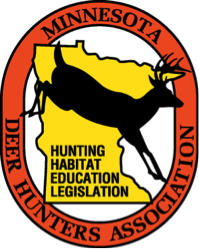 For more information about the new zone regulations, visit mndnr.gov/pike or contact a local area fisheries office. Contact information can be found in the fishing regulations booklet, available online at mndnr.gov/regulations/fishing. what a gawd aweful really dumbazz move. NOT ALL LAKES ARE THE SAME. Well, lookit for down here....TWO fish???! Screw that! first ya gotta catch 1!!!!!!!!!! !